On July 21, 2016, Lamarr Seader set up a visit by the Gulf Coast Regional Mustang Club to Gulf Coast Kids House. Members donated two Mustang Ponies and several boxes of snacks for the kids. 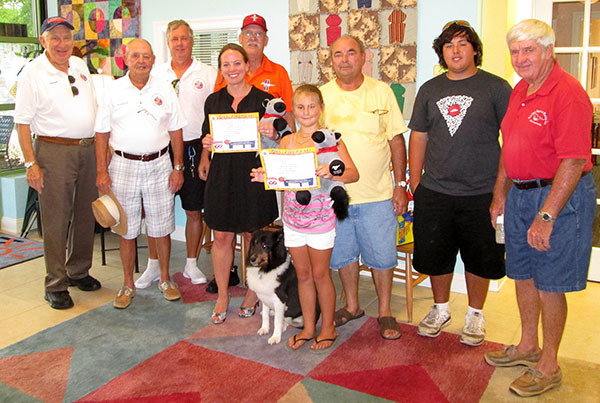 GCRMC club members gathered with staff and Executive Director, Stacey Kastervicki. 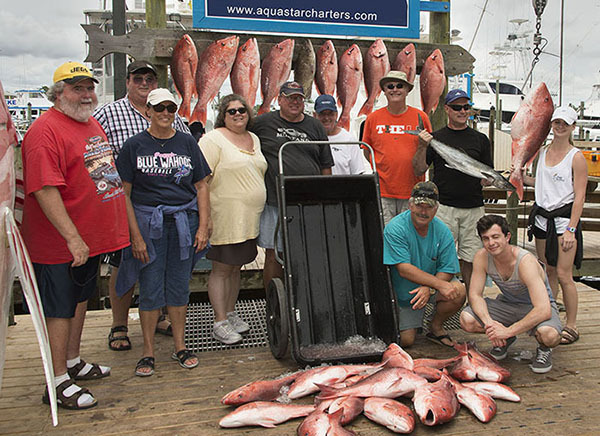 The Gulf Coast Regional Mustang Club spent Sunday, June 5, 2016 fishing with Aqua Star Charters out of Orange Beach, Alabama. Club member and boat owner Steve Foust made this great trip possible. You would think it would be difficult to get a bunch of car fans into a boat, but we had a great time, caught a lot of red snapper and, despite threats of rain, the weather turned out to be perfect. One special day a year, the Mustang world unites by taking their Mustangs to the road! This was Sunday, April 17. The Gulf Coast Regional Mustang Club celebrated National Mustang Day with a cook out and drive. Some of the most beautiful Mustangs in the Panhandle were present with years spanning from 1964 to current models. The event terminated in a great drive of Mustangs around Santa Rosa and Escambia County ending on Pensacola Beach. If you were out and about Sunday afternoon, maybe you saw the parade of amazing cars. March 18-20, 2016 The 37th Annual Gulf Coast Regional Mustang and Mega Car Show was a great success. We hope you were able to attend. The weather cooperated Saturday and Sunday allowing the Mustang Show to be a great “Mega Car Show”. In addition, European and British Cars were also on display along with a Falcon Car Show, old drag cars display by the Southern Gassers, and a static motorcycle display sponsored by the Christian Motorcycle Club. Many thanks to our Sponsors and Vendors who made our show possible. We are already beginning to plan the 2017 Show, which will be a National Show, March 24-26, 2017. Please visit our site again for more details and save the dates. Please check out our Upcoming Events Page with information about upcoming car shows in and near Pensacola.